Remember back when your parents would take you shopping to get your first pencil case, rubber, ruler for school? Remember how cool and exciting it was? Remember how particular cool it was to find that just right pencil case? Remember how cool those white elasticy rubbers were? Ladies and gentlemen! 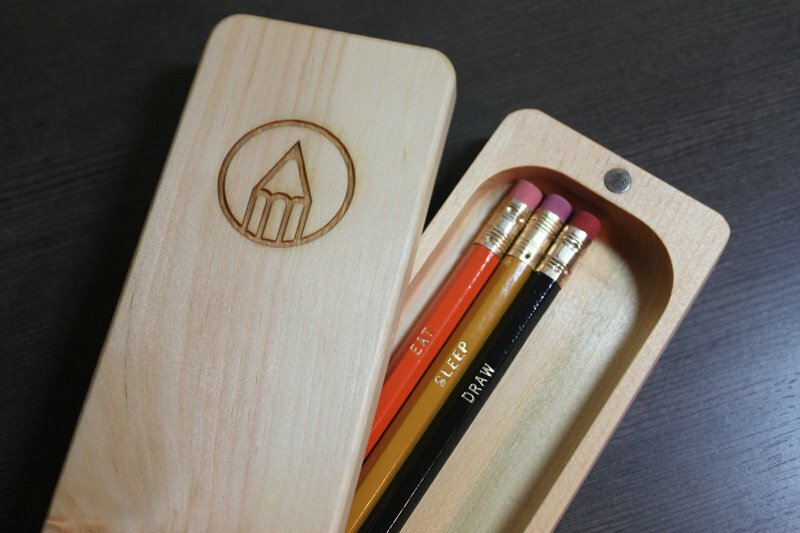 You can now relive your early academic days with this delightfully elegant Pencil Pod by EatSleepDraw made with eastern white pine. 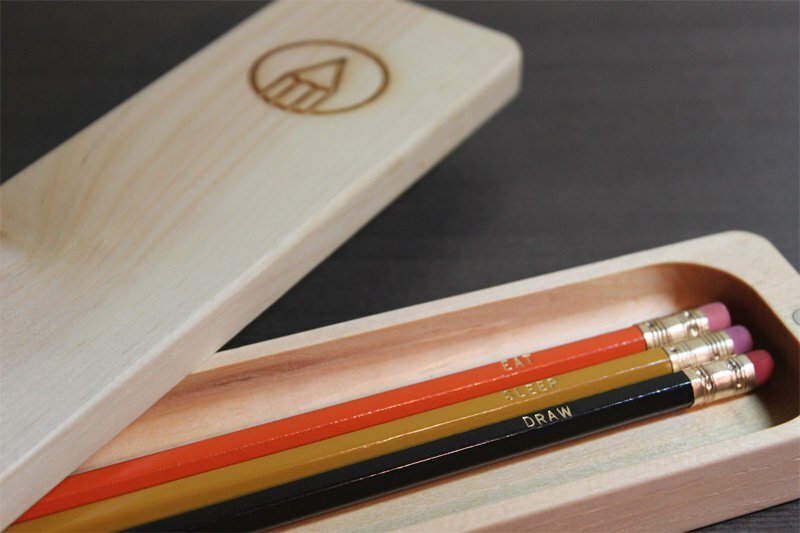 It also comes with Eat, Sleep, Draw pencils and will hold an additional 7 pencils. It’s designed to open up completely. The hinge is composed of incredibly strong rare earth magnets and the wood is finished with Danish oil. The EatSleepDraw emblem is laser engraved into the top. 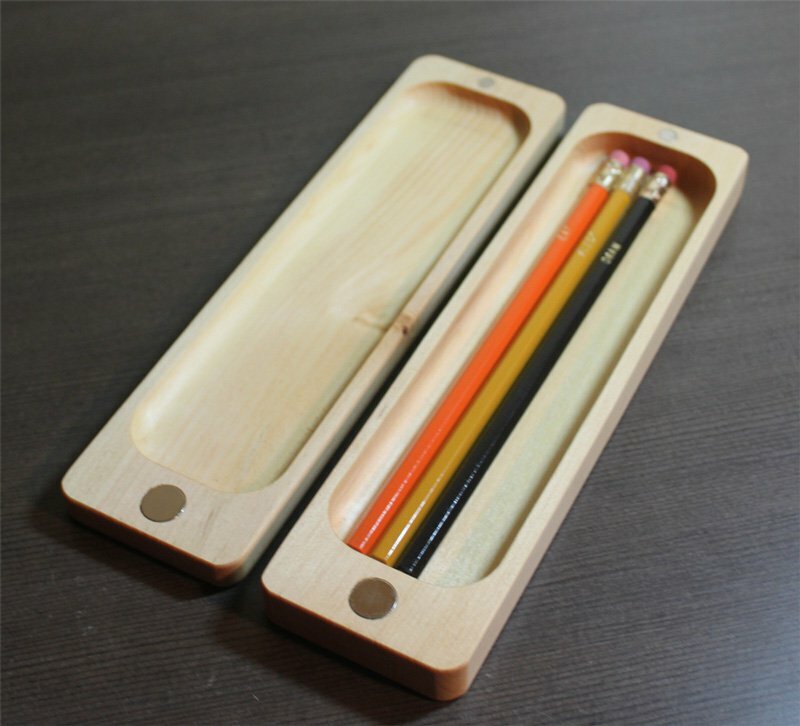 But be quick my pencil and pencil case junkies: there are only 50 Pencil Pod’s left. It will cost you $40 and comes with FREE global shipping.